There was a very interesting "domino effect" in how CPR met and was formed. When Jeff was touring with Marc Cohn around 1992 as a duo, they were invited to open a string of shows for Crosby, Stills and Nash. When David & Graham heard Jeff play, Jeff was soon snatched up to tour with Crosby & Nash, in a trio format for a number of years. 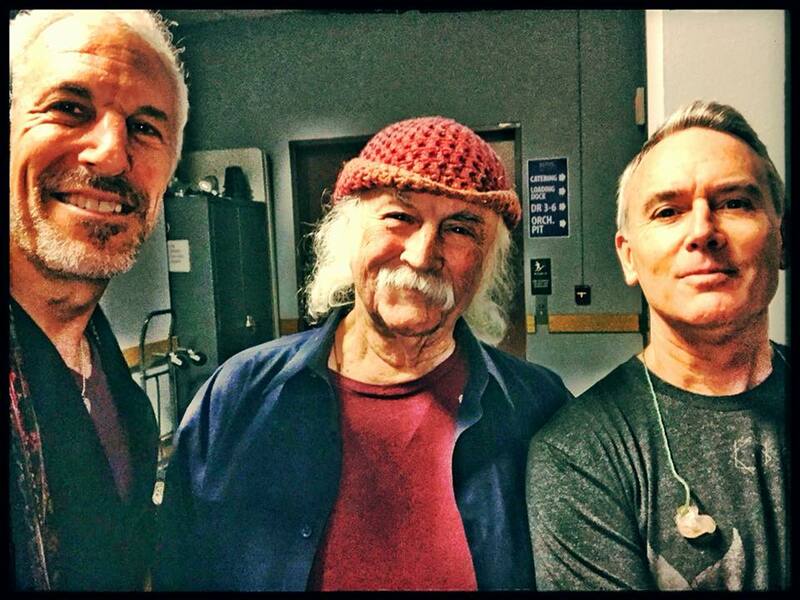 Around 1998, David Crosby was reunited with James Raymond, his biological son that David never knew. As David was impressed with James talents as a musician, David invited Jeff to form CPR along with James, and they toured and recorded 4 albums together as a partnership. CPR first released a double live CD, "Live at Cuesta College", from their very first trio tour together in Jan of 1998. Later that year David, Jeff and James went into the GrooveMasters recording studio in Santa Monica, CA, owned by David's longtime friend, Jackson Browne, where CPR recorded their acclaimed debut studio record, "CPR". This record featured original material written by CPR and featured the wonderful blend of the CPR vocal sound. "Live At The Wiltern" was the next CPR release, a double live CD, from a CPR performance at the Wiltern Theatre in Los Angeles, which also featured special guests, Phil Collins and Graham Nash. Finally, the 2nd CPR studio record, "Just Like Gravity", was released in 2001, which featured the single "Katy Did", written by Jeff and David, which played on over 250 radio stations across the US. Although the record company that handled CPR's music, Samson Records, is no longer, CPR's music lives on in the hearts and minds of many. It was said that CPR was the best music that Crosby had released in decades, and it was an ensemble that introduced and featured Jeff's talents and abilities to many music fans. Excerpt from CPR Video "Through The Music"
Deja Vu from Dutch TV "Two Meter Sessions"
"Just Like Gravity" - (Gold Circle Records) Released in June 2001, CPR's latest collaborative effort features 12 original compositions recorded at Jackson Browne's Groovemasters recording studio with engineer and CPR co-producer, Paul Dieter. "CPR" - (Samson Records) Released in the spring 1998, the self-titled debut studio CD was recorded at GrooveMasters studio in Santa Monica, CA. The very first collaboration in the studio from David, Jeff and James features original songs that CPR wrote and/or produced together. Guest musicians include Leland Sklar, Russ Kunkle, Hutch Hutchinson, Luis Conte, and others. 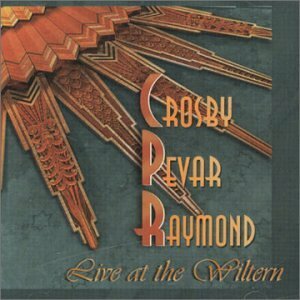 In addition to the studio CPR CD's, CPR has two live CD's, Live at The Wiltern, and Live At Cuesta College. "Live At The Wiltern"- Recorded on Nov 7, 1998 at the Wiltern Theater in Los Angeles, CA. Joining David Crosby, Jeff Pevar and James Raymond is the rest of the CPR band, featuring Andrew Ford on bass and Steve DiStanislao on drums. (Also featured are some special guests, like Phil Collins, Graham Nash and Marc Cohn). 'Live At The Wiltern" is a terrific sounding double album. 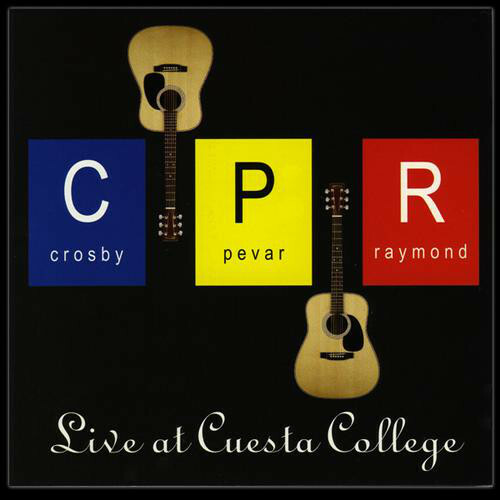 "Live at Cuesta College"- This live CD is the 7th concert that CPR ever performed together. Features David, Jeff and James (CPR) performing at Questa College in San Luis Obispo, CA on Jan 18,1997.